Enhance your eCommerce business with Kaushalam's customized PHP web development services. Our vast experience in this arena makes us a strong supplier of the best PHP web development services. Partner with us for impressive results.  PHP makes integration of various elements into your application quick, easy and simple. PHP can be developed quickly and so it's easy on the pocket too. It's an open source that's ready to turn into your application. It's dynamic and can be easily upgraded without hassles. PHP is optimized extensively for improved performance. at Kaushalam. You get our commitment to solve all your business problems. Why PHP with Kaushalam ?
. These solutions are developed using methodologies that are known for offering impressive results. Throw away all your problems. We are committed to turn your vision into a reality through custom solutions. They will be designed specifically for you. You demand, we deliver. We build solutions that complement your business model and goals. You get dynamic web applications, real-time inventory management, content management systems and more. In last 15+ years, we have helped several companies from all verticals. We have helped them strategize as well as execute it. Our excellent work is reflected in their satisfaction with the solution. You will get a solution that will boost the business performance. You won't have to worry about details. We will do that on your behalf. You can just relax. We wanted to give a new look to our eCommerce store. When we went looking for an eCommerce developer, Kaushalam was recommended to us strongly. We told them what exactly we were looking for, and much to our surprise, they delivered more than what we expected. Later on, we also asked them to streamline our backend processes it was becoming too difficult for us. They did that too. Their comprehensive solution improved our sales and enhanced our prestige. Kaushalam is the eCommerce development company of our choice now. Be unique, profitable and secure. We will make sure that your application delivers the results you want.